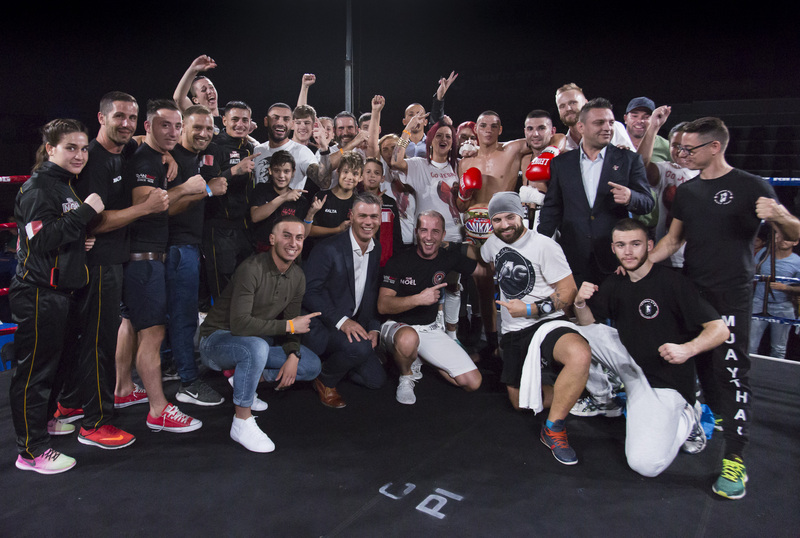 A total of 21 kicboxers from Ying Yang – Team Noel Club competed in Gladiators’ Fight Night 18 held ot Corradino’s Sports Pavilion on Saturday 28th October, with one of the athletes managing to win a European title in K1. 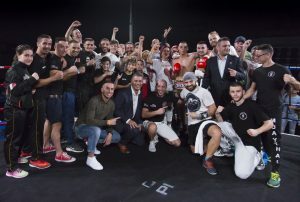 Jesred Piscopo, who trains with Master Noel Mercieca, is now the K1 European Champion in the PRO/AM Lightweight category after winning the WKN title in a fight against a Sardinian athlete. Despite the fact that Piscopo had a tough opponent, his win was evident as his technique was precise and effective. 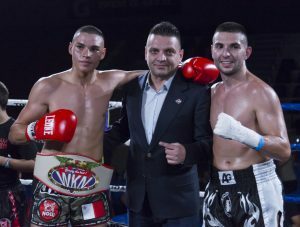 Keith ‘Speed’ Azzopardi also won his fight against a Professional opponent from Sardinia. During this fight Azzopardi studied his adversary during the first round and moved on to attack in the follwoing rounds, where he remained loyal to his nickname ‘speed’. Azzopardi is also a Pro European Champion in K1 after having won this title two months ago in France. 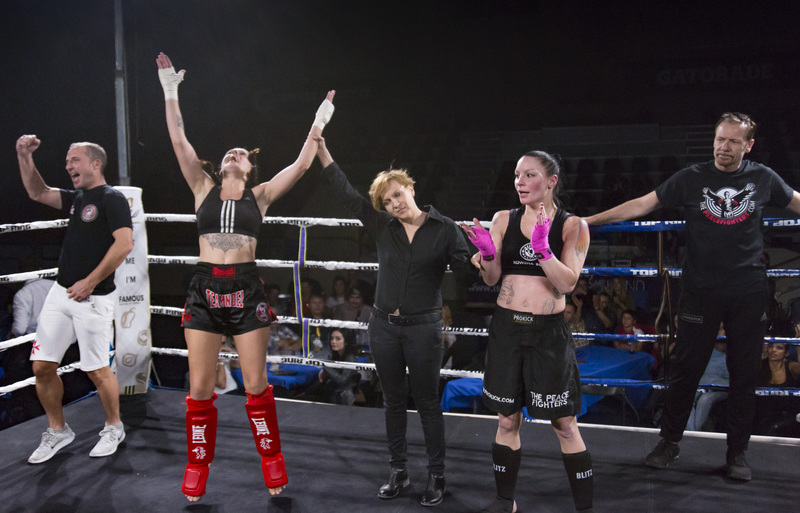 Another highlight was Diane Schembri’s fight, who returned to kickboxing with a win over an athlete from Nothern Ireland. Following two years of boxing, Schembri was still comfortable using the kicks, while her punching skills served her well against the Irish opponent, with both athletes giving a high level show. Another athlete who stood out was James Busuttil, who fought twice in the same event eventhough this was his first time in the ring. 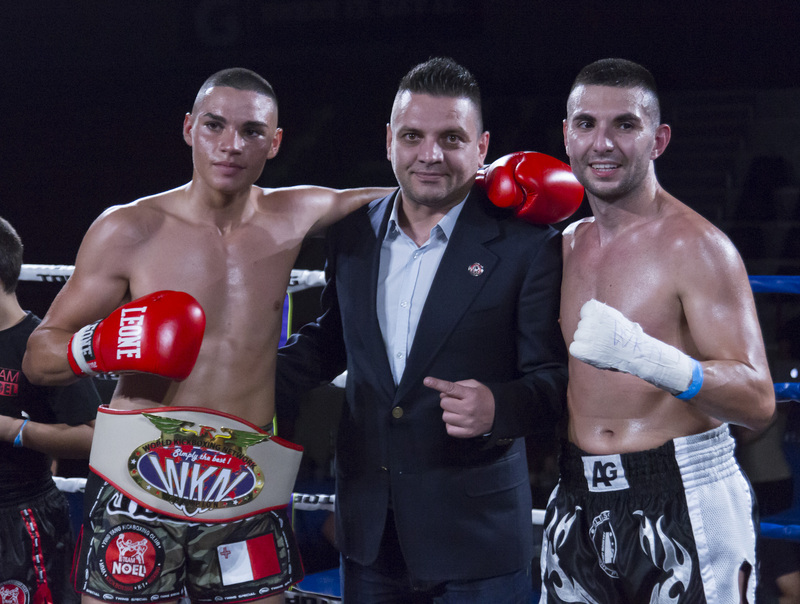 Busuttil’s nerve was rewarded, as he managed to win both the kickboxing and the K1 fights against an athlete from Northern Ireland and another one from Italy. Other athletes from Team Noel who fought during Gladiators Fight Night 18 were Liam Micallef, Darren Micallef, Jadee Cassar, Liam Scerri, Elston Fenech, Wandy Pace, Aiden Azzopardi, Justin Pace, Jean Luca Muscat, Sven Farrugia, Deemer Spiteri , Maria Attard , Stephnie Rodgers, Kyle Darmanin, Shadrach Ellul, Julian Mangion and Celeste Galea.